"Very Friendly .. Did A Great Job !" "Did The Job Very Well Even Though It Was A Strange Job, Very Friendly And Informative." "Great Quick Communication And A Tidy Job Done"
"Friendly Considerate And Professional. I'D Definitely Recommend The Service." 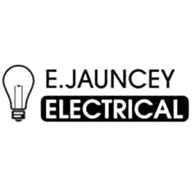 Need a Electrician in Sutton Coldfield?